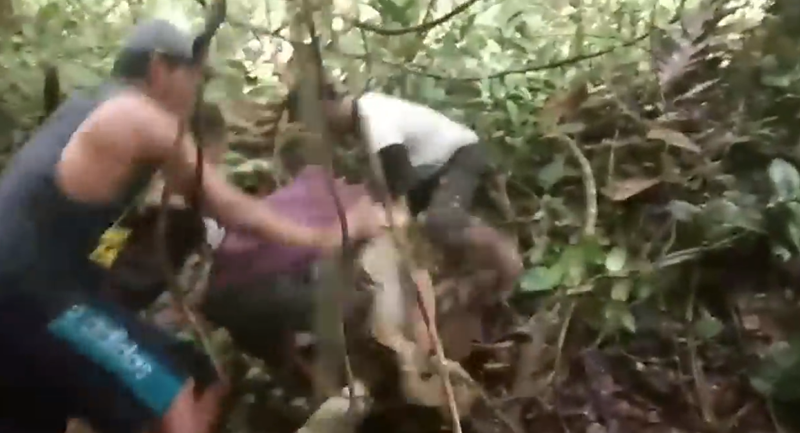 Indonesian fisherman Tan Galuang and his friends got the strangest catch – instead of bringing home some fish, the men had to fight for their lives against a giant snake. According to the fishermen, one of the men accidentally stepped on an 8m long (27ft) python. The frightened animal grabbed the man and it took the power of six robust fishermen to free him from the reptile's scaly grip. The snake was transported to the village and later released a few kilometres away in the wilderness in order to save it — and, of course, the lives of those who might encounter the dangerous reptilian giant!